Given this decade’s almost over, thought I may as well join in the rush and post my two cents on the biggest events of the 2000s. I’d say the biggest changes in tech for the general public include the following. I’d say this was one of the biggest changes. It make the computer a central part of one’s entertainment usage (since you need one to manage the iPod). The iPod also put emphasis on choosing one’s own songs to play in an easy manner, moreso than the cassette-player Walkmen it replaced. 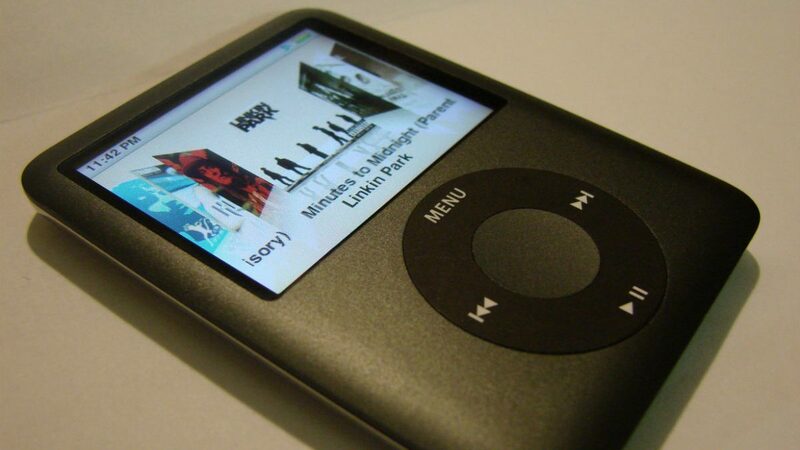 It also led to other changes such as the rise of MP3s in importance, the rise of the online music stores (particularly iTunes), the rise once more of buying singles (instead of entire albums for one or two good songs), and a downplaying of the importance of getting music from radio (given this decade’s most popular music player until very recently didn’t come with a radio built-in). This giant shift in music playing also might explain why I don’t think there’s any particular music trend that sums this decade up. Something akin to grunge in the 90s, disco in the 70s, Motown/the British Invasion in the 60s, etc. This decade’s major feature is a change in how we consume music. Said change also makes it much harder for big music labels to sell a major new music trend, given increased personalization. Thanks to more powerful tech, portable devices such as the smartphone (a cell phone allowing one to go on the Internet and do all sorts of useful functions) or laptop computers being on par with their desktop counterparts are now commonplace and affordable. Yes, there were DVD recorders at first to replace the VCR (I have a DVD recorder). However, what really took off with the public was the DVR, particularly Tivo. A glorified VCR yes, but one that lets you program it easily to record shows whenever they air based just on their name. You can also store plenty of shows without changing any tapes or discs, not to mention such stuff as pause live TV. The widespread availability of high-speed Internet connections has made the modern Internet possible. That’s even if the US lags behind other countries in such penetration. This includes an increased availability of WiFi in many public places. Open-source software (including such things as Linux) has become a heavy presence in various devices (as the OS behind a DVR or cell phone, for instance), and Linux is making a (glacially slow) move to becoming a desktop presence as well. The biggest success story, however, would be Firefox, which is now a widely accepted and used browser (and giving Microsoft actual pause). Apple’s ease-of-use and emphasis on nicely-designed hardware has led to a change in fortunes this decade (with Macbooks now widely seen in public alongside the Dells and HPs), particularly its success with the iPod (successful to the point of changing its name from “Apple Computer, Inc.” to “Apple, Inc.”). 10 years ago, I was using a 13″ CRT TV. Now, I’m using a recently-bought 32″ LCD TV. The price of LCD sets have dropped from being a novelty item for the wealthy to being (somewhat) affordable for the general public, to the point that most stores don’t sell larger-sized CRT sets anymore. Even moreso for computer monitors—try finding a CRT monitor these days.